Responsive design is still in its infancy, and not many people have taken advantage of this highly effective technology. 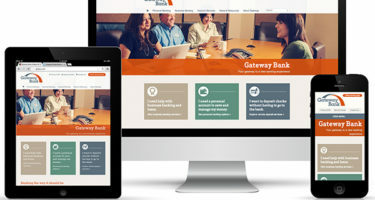 If your company is considering updating its brand presence, explore the advantages of responsive design. Chances are, your competitors have not yet embraced it, but you definitely should! 2. It’s all about the customer. Today’s websites serve as dynamic platforms on which DMO’s are adding new content to web pages, blogs and social feeds. With customers using so many devices – from smartphones to tablets to HD TV Internet browsing – your website must make this content available to everyone on every device all the time. Do you know the size of your cell phone screen? What about the screen size of the cell phone you had five years ago? Screen sizes are constantly changing—and we see this not only in cell phones, but in desktops and tablets as well. As new devices and displays are developed, screen sizes are constantly changing. With a responsive website, you do not need to spend your valuable marketing and IT resources on updating your site for new devices. Instead, your website will be displayed based on the size of the screen—looking great on screens of any size. 4. Positive user experience is a must. 5. It will simplify your life and save you money. One website for all devices means you don’t have to maintain, manage and host extra platforms. With a click of a button, you can publish your content once and distribute it across multiple devices. When you build a responsive website, the site is the same across all devices. However, using CSS media queries, you are able to adjust elements for a given screen size. Though this sounds complicated in a technical sense, it provides a great time-and-money-saving benefit to marketers. Make a change once, and it is reflected across all devices. 6. Consistent Look & Feel. Fonts, color schemes, button styles and imagery. With a responsive website, you are able to provide your users with the benefit of one, consistent user experience. Whether a user is coming to your website to shop, or to research an enterprise software, the simpler you can make their experience, the better. 7. It will future-proof your online marketing efforts. Responsive Web Design is flexible, scale-able and has some sticking power in the years to come no matter how devices change. 8. Responsive design is preferred for SEO. When Google makes a recommendation, you better take it seriously. When Google recommends something, we should probably listen. On the Google Developers website, “Google recommends webmasters follow the industry best practice of using responsive web design, namely serving the same HTML for all devices and using only CSS media queries to decide the rendering on each device.” Yes, you saw it right here—Google actually recommends that developers leverage responsive design and development techniques when building their websites. Why would Google make such a recommendation? Responsive websites provide a better, more consistent user experience—plus, many experts suggest that Google prefers responsive sites, as they are easier to crawl (overall, resulting in search engine optimization benefits).